Hans Lippershey (also known as Jan Lippersheim or Hans Lippersheim) was a Dutch inventor of the 16th century, most commonly associated with the invention of the world’s first telescope. Born in Wesel, West Germany in 1570, Lippershey moved to the prosperous city of Middleburg in the province of Zeeland in Netherlands in 1594. This was also the year that he was married. He was a spectacle maker by profession and set up his own shop in Zeeland. He was made a citizen of Zeeland in 1602. Lippershey became a master at his art and was known to be an expert “lens grinder”. How the idea of the invention of the telescope came to Lippershey is not clearly known. New glass making techniques were introduced by the Italians in the 1590s which contributed to this development. According to one version of events, Lippershey observed two children playing with optical lenses in his shop and the children commented during their play that a far away object (such as a weather vane) seemed much closer when viewed through two lenses placed one on top of the other. This led Lippershey to experiment on his own and that is how he later stumbled on the invention. Other versions of the story are that Lippershey stole the idea from his assistant or from a third party altogether. It is not known which version of events is the actual truth. Nevertheless, Hans Lippershey applied for a 30 year patent to the States General of the Netherlands on October 2, 1608. He described his instrument (which he titled “looker”) as useful for seeing far away objects as if they were close to us. As an alternative to the patent, Lippershey demanded an annual pension and in exchange he offered not to sell his invention to foreign kings. The Dutch government rejected Lippershey’s patent on the grounds that it would be easy to copy and therefore could not be kept a secret. However, they commissioned him to produce several binocular telescopes for them, for which service they rewarded him handsomely with the sum of 900 florins. The telescope developed by Lippershey could magnify objects by three times and was referred to as the “Dutch perspective glass” at the time. The term telescope was coined later by the Greek chemist Giovanni Demisiani. At almost the same time, another inventor claimed recognition for the same invention. In fact, Lippershey’s patent application beat his by only a few weeks. This was Jacob Metius from the city of Alkmaar in the north of Netherlands. The State general rejected both patent applications. Another spectacle maker named Sacharias Janssen also claimed to be the inventor of the telescope but his claim came several decades later. It is not known who is actually the first inventor, yet Lippershey’s patent application is the first documented record of the invention of such an instrument. It was mentioned in a diplomatic report issued in October 1608 and distributed across Europe. The ideas contained in it led to further experiments by other scientists, notably the Italian scientist Paolo Sarpi, the English scientist Thomas Harriot and the Italian astronomer Galileo Galilei, who is widely credited with improving and popularizing the telescope. 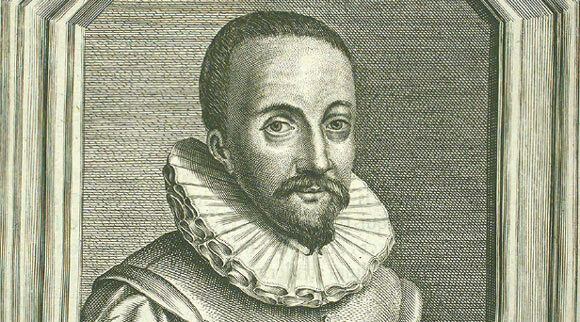 Hans Lippershey died in Middleburg, Netherlands in 1619 at the age of 50. A lunar crater “Lippershey” and the minor planet “31338 Lipperhey” are named after him.